This is one of my favorite EV events to attend, The Schoolcraft college event in Livonia Michigan, but there is one unique thing about this event, it keeps growing! 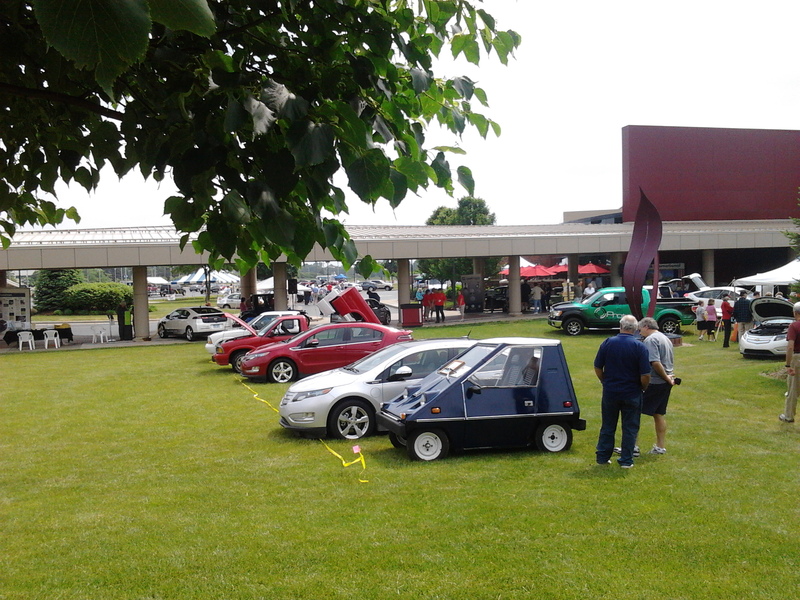 The first year I attended it was a small gathering of home built EV’s and a few hybrids packed in a small parking lot, by the second year word spread and it seemed like we had many people come to browse through the show and ask questions. 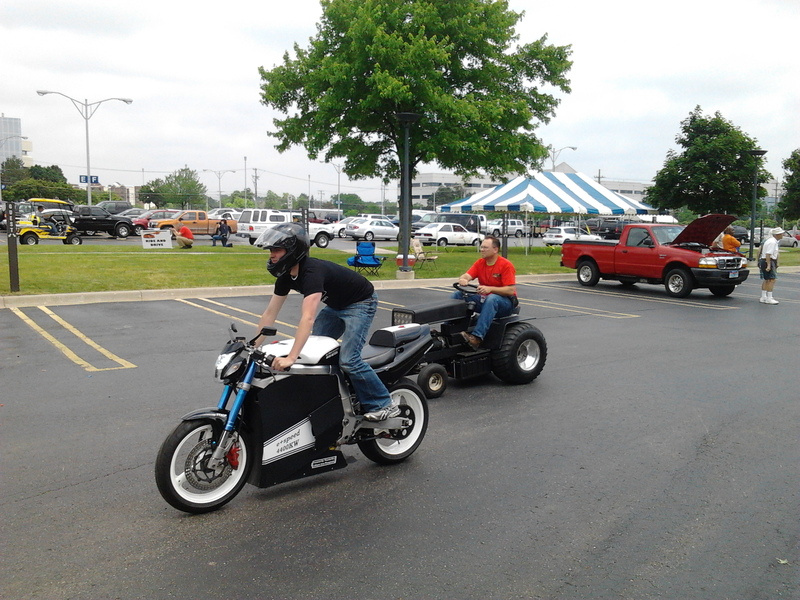 This year we had some major companies set up booths, the college had installed charging stations, we had over 65 electric or plug in hybrids show up! Many people were asking questions about the E*speed, I even had a few people that had reservations for Brammo Empulse’s talk to me. 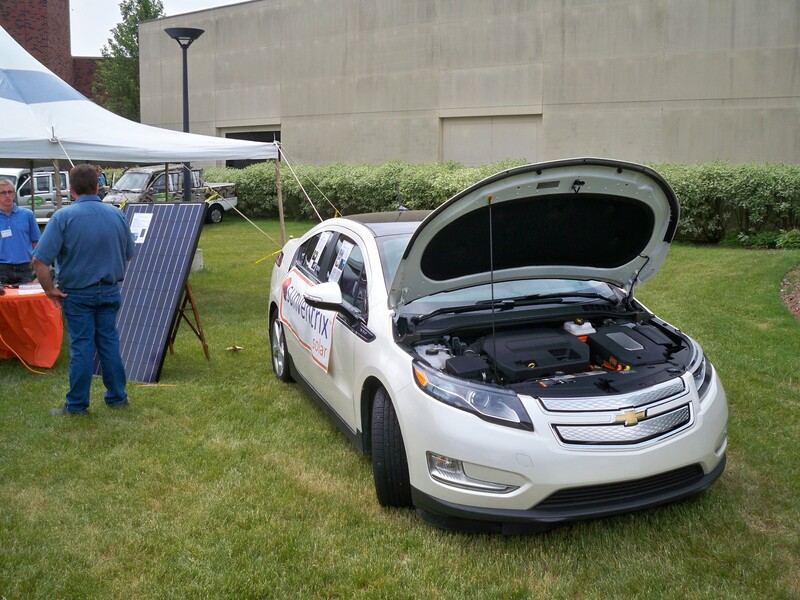 Chevy Volts were at the show in masses, in This picture the car is being charged for free off a small solar array. This is the cleanest and most simple method to charge an EV. 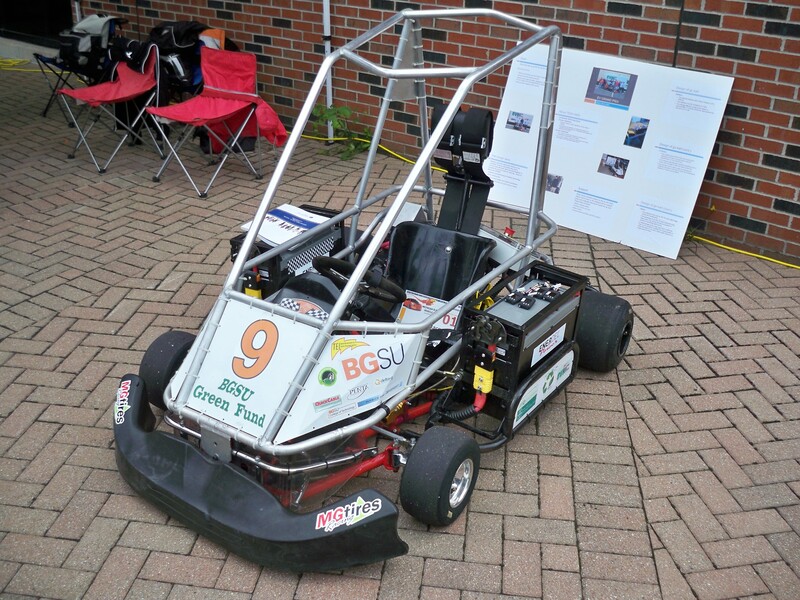 Bowling Green State University brought the A/C powered electric race kart, this thing was very fast and had quick change battery packs that could be changed in under 6 seconds! In early June there was an electric grand prix in the parking lot of the Indianapolis motor speedway where this kart along with many others competed in a race. 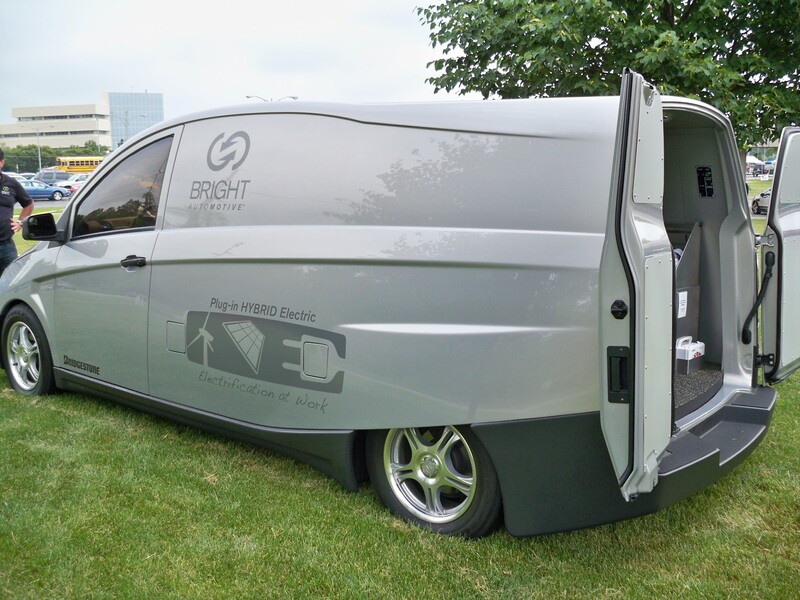 Bright Automotive was there presenting their prototype plug in electric hybrid work van, it is quite impressive and looks VERY functional. 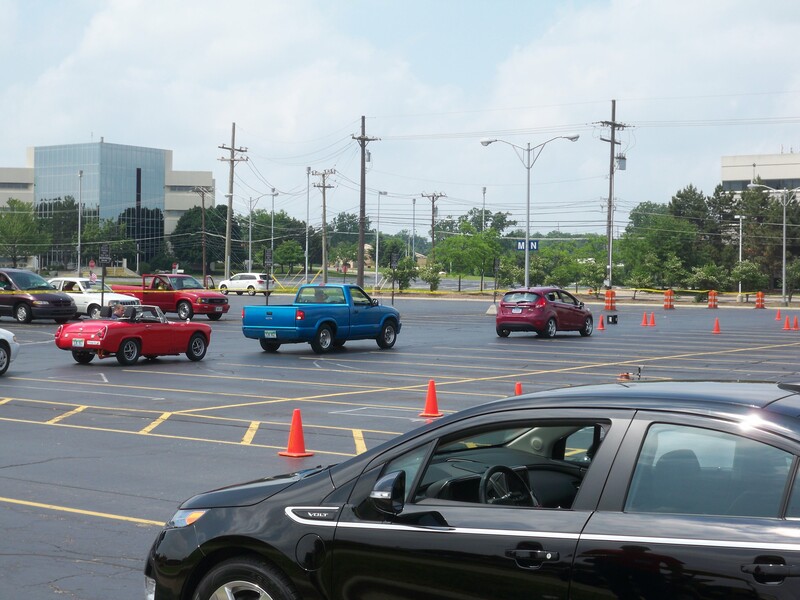 The auto-x went off without a hitch, and was quite a bit of fun for everyone that participated! 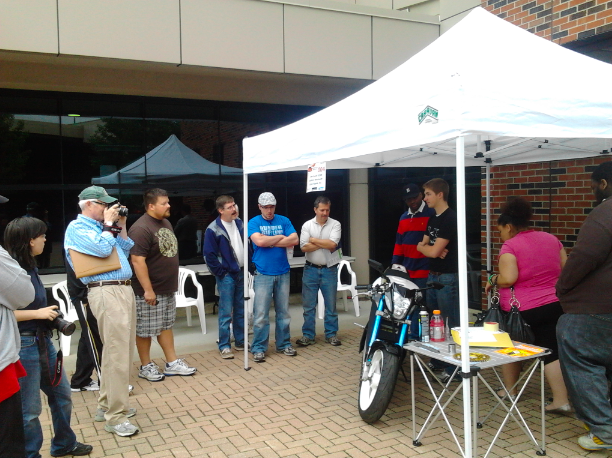 I took home the Trophy for Michigan’s fastest 2 wheel EV, for the 3rd year running! The event was a huge success, and I cant wait to see how big it will be next year! The EV crowd keeps getting larger each year and It is exciting to see how rapidly the technology is spreading.